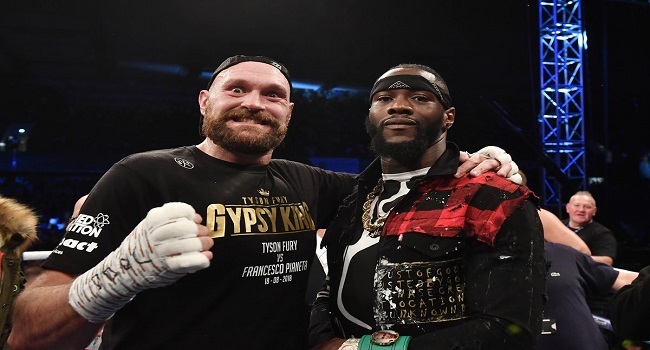 Deontay Wilder dismissed suggestions that Tyson Fury will provide him with his biggest challenge, after weighing in 44 pounds lighter than his rival before the fight at Los Angeles’ Staples Center. The pair were kept at a safe distance for their final face-off, following Thursday’s press conference when they and their two entourages threatened to get violent during a heated confrontation. You can watch the entire promotion from.3pm today on FBC TV and FBC Sports.